Newly remodeled, this spacious & immaculate king-size suite has lovely views of the ocean from your perch above the trees. Sunny and bright with a cathedral ceiling with fan, a breakfast kitchen,New Full-Size Bed, double and single futon, and a sparkling new bath with an oversize shower. Take the 2 minute walk to the ocean's edge and watch the beautiful sunrise or stroll the quiet roads of the South End for an evening walk. We also include for your convenience a town parking sticker which allows free parking at all town beaches and the downtown shopping and dining areas. From your vacation home here in the beautiful South End you are only minutes from 3 lovely beaches, 10 minutes from the downtown area with its shops, galleries, and restaurants, and also the commuter rail station should you choose to go to Boston for the day. Internet access available. Everything is here for a wonderful relaxing summer getaway! New Sealy full-size mattress set, double burner gas grille, new beach chairs and coolers. 1 full, 1 double futon, 1 single futon. Alarm clock; beach chairs, beach towels; cooler; ceiling fan; heat; toaster oven; town parking sticker. New 32 inch flat screen HD TV. 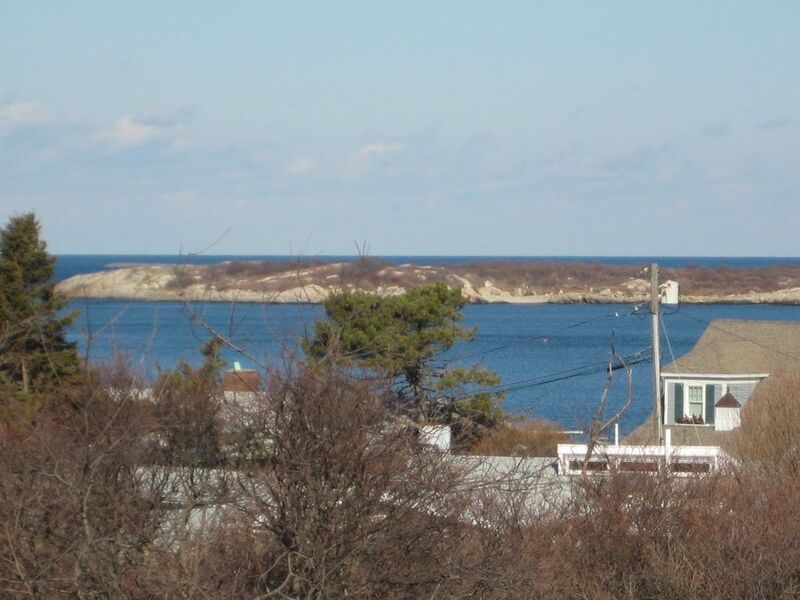 This small above-garage studio apartment is a sure-bet for a quiet getaway to beautiful Rockport, Massachusetts! The garage is separate from the main house, so there’s a wonderful sense of privacy, yet you are minutes walking distance to the ocean. The studio has a lovely view of the ocean and nearby lighthouse as well as a small kitchenette with all of the essentials to cook in if you choose to. Only minutes from the charming downtown of Rockport, shops, restaurants and more. Also just minutes from Gloucester, you can take in the many sites of the area and come back to this peaceful studio for cozy evenings in. Highly recommended! The studio was just as described. Very clean, convenient, and comfortable! The host was very responsive to questions and instructions were clear. The location was perfect, and how nice it was to take a short walk to the bend in the road, walk down a footpath to the rocky coastline. It was spectacular! Rockport is a lovely town with many unusual and quaint shops and galleries. This rental was the perfect place for us to get much appreciated peace and quiet! Enjoyed our overnight. Lovely location, very clean. Private with separate entrance to suite above garage. Nice walk to rocky beach nearby in the morning. This little apartment is perfect. It’s close to everything. Beaches, whale watch, restaurants, the train to Boston, shopping and sightseeing are all just minutes away. It’s clean and stocked with everything you need to be comfortable. I felt like a guest at someone’s home. The owner is friendly and not intrusive so you have privacy and comfort. Oh, the view is beautiful too!! Great location, spacious studio, warm welcome from owners. Short drive to Rockport Center & beaches. Lovely scenic walks & biking along shore from their doorstep. Recommend highly. Note: access requires climbing stairs, but there is a railing. Enjoy! This South End location is a quiet private area perfect to unwind and relax. You can walk to the beach, restaurants, and the downtown with its shops, galleries and other attractions. Spend the day at Cape Hedge beach and the evening dining and browsing on Bearskin Neck. If you're looking for a quiet getaway this is for you, let the crashing waves lull you to sleep on a warm summers evening.